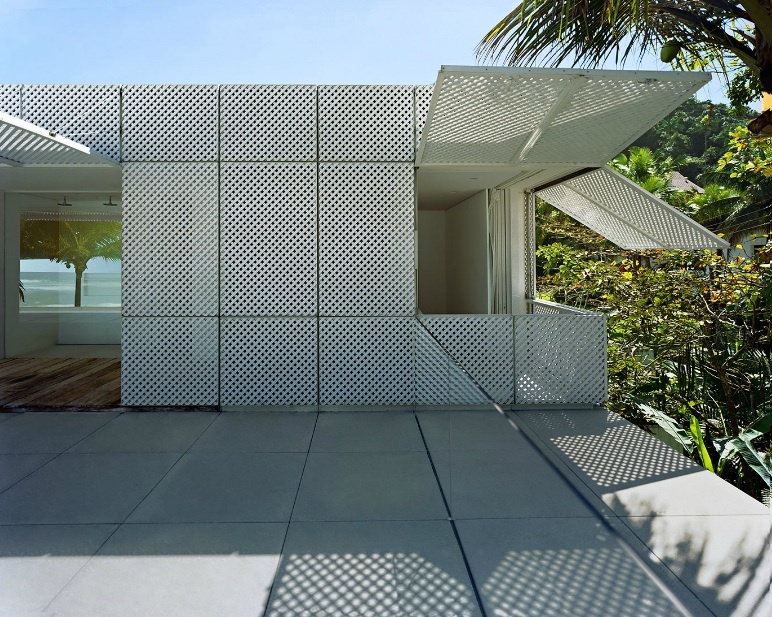 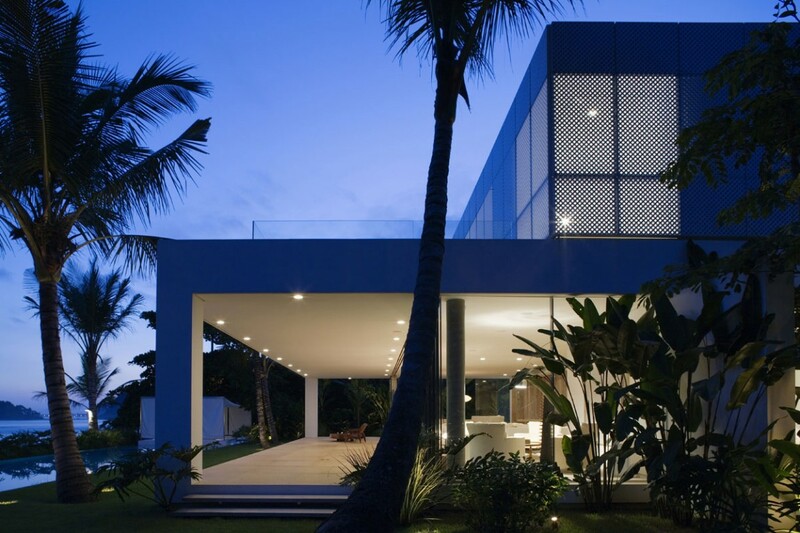 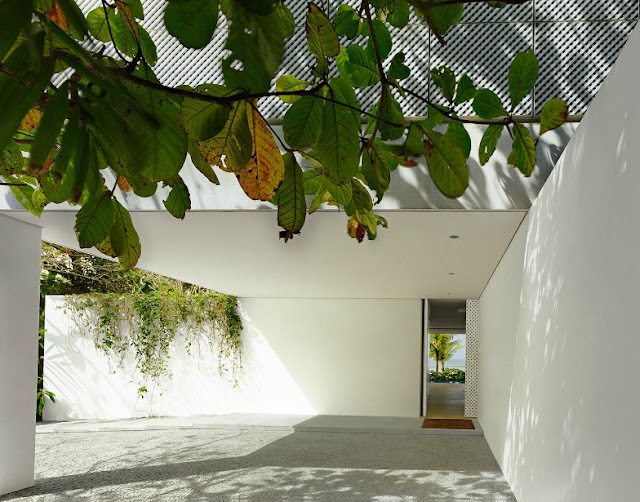 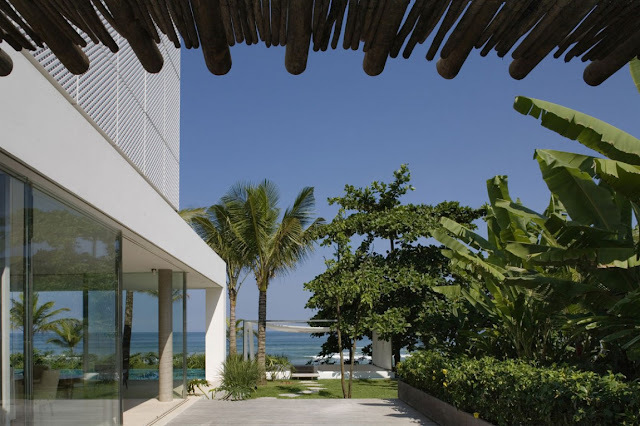 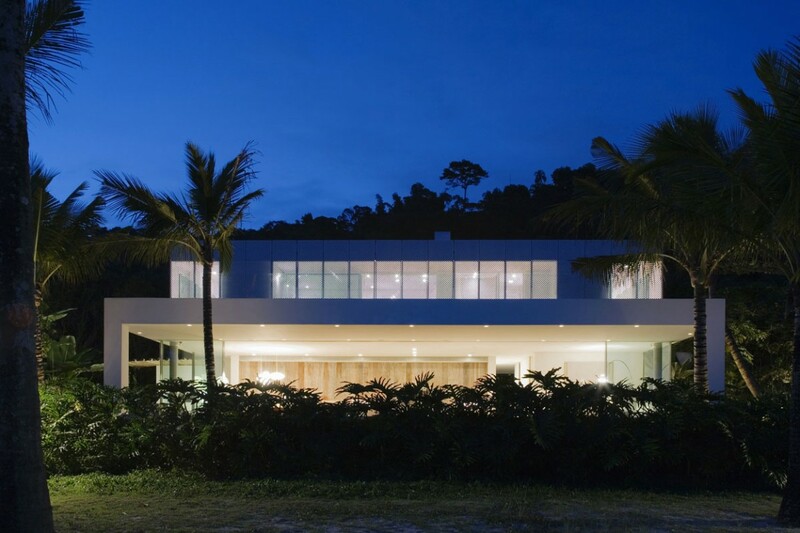 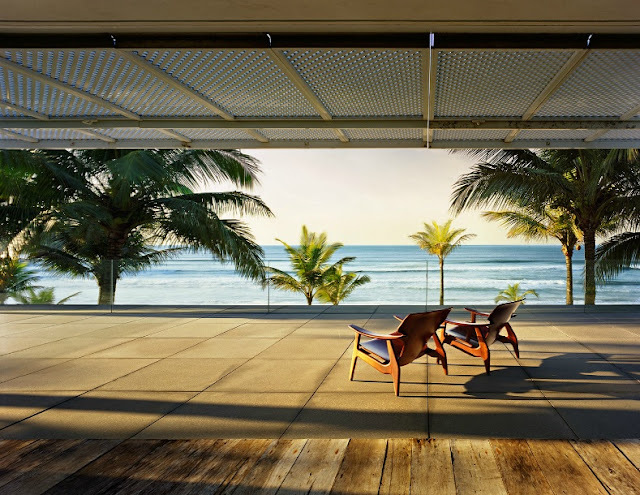 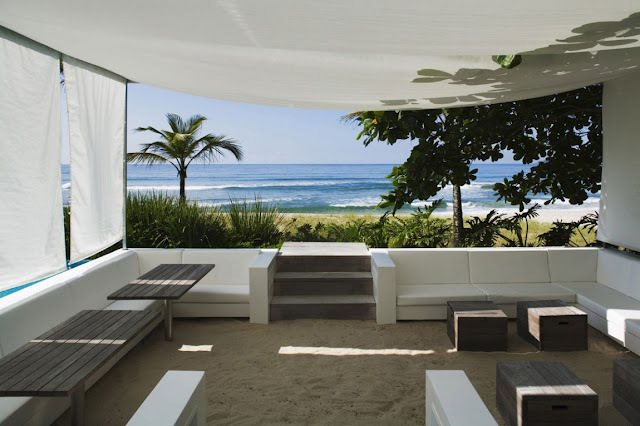 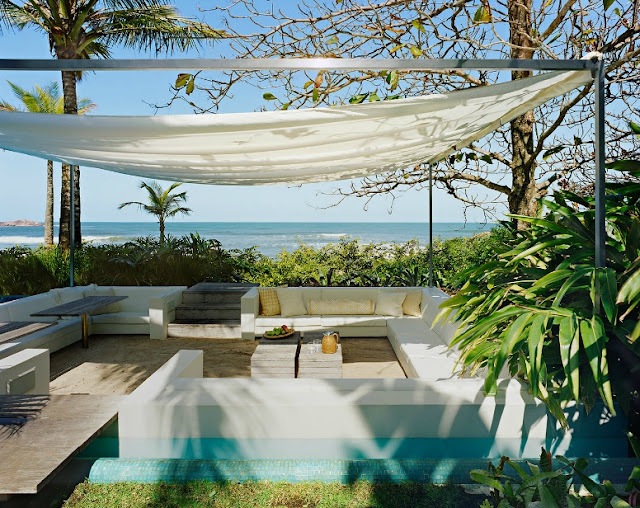 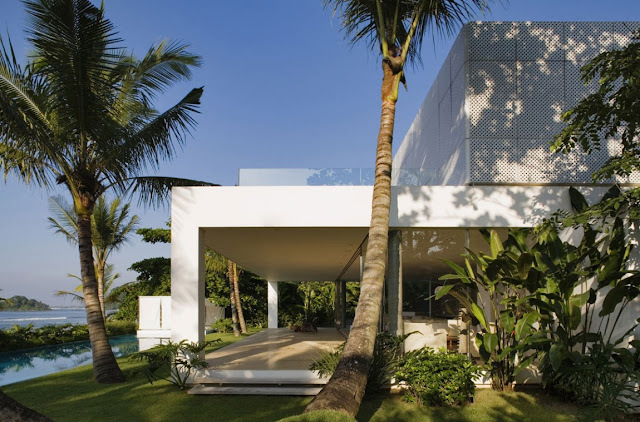 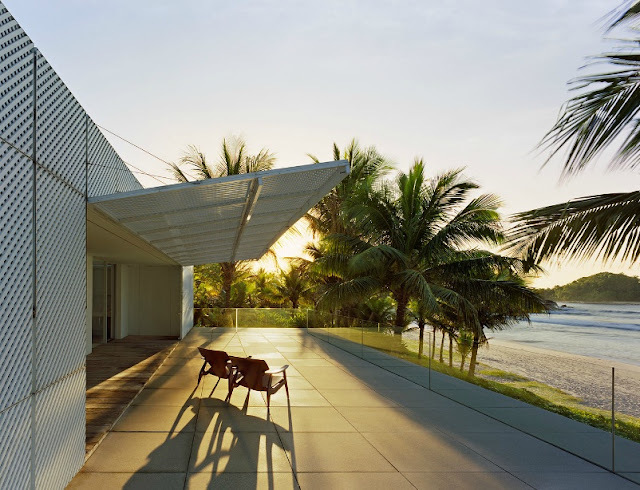 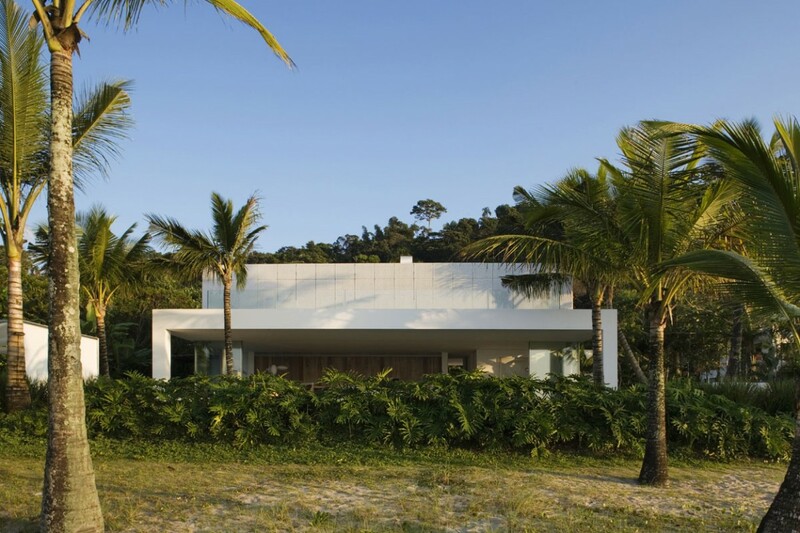 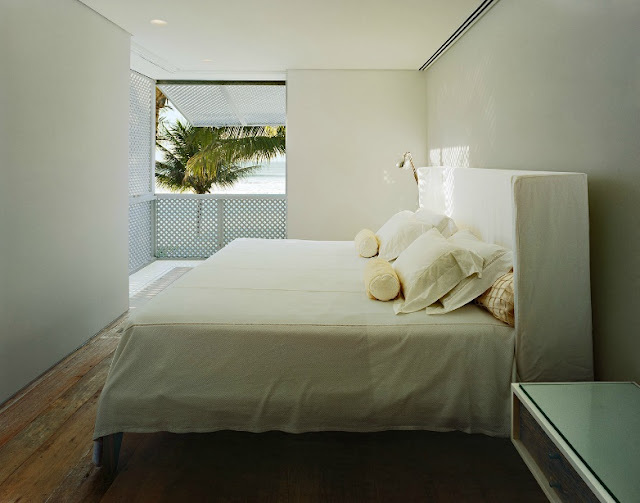 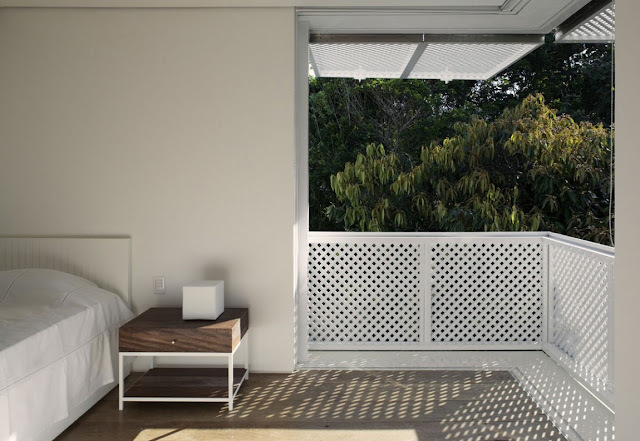 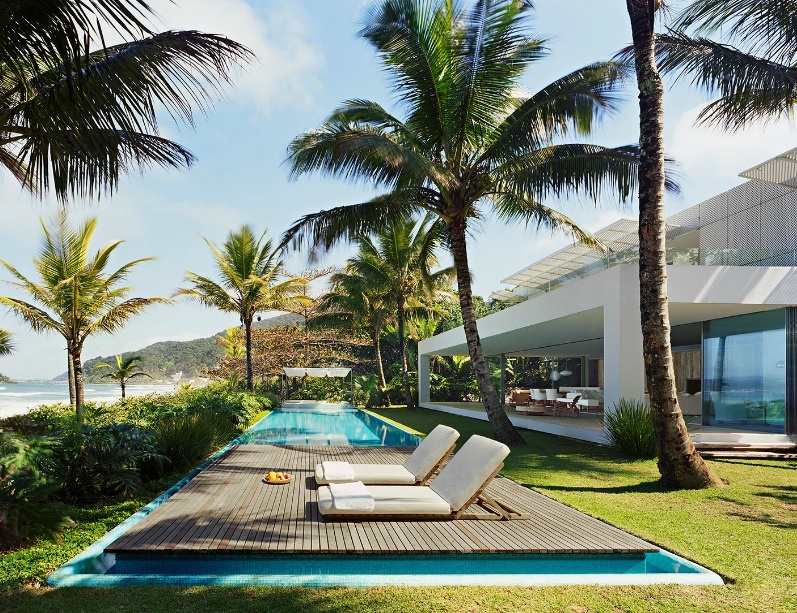 Iporanga house is located on the seashore of Iporanga beach, in Guaruja, on the north coast of São Paulo in Brazil. 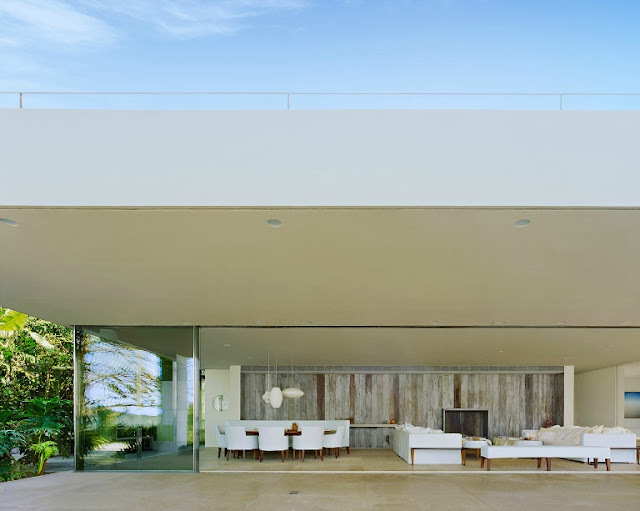 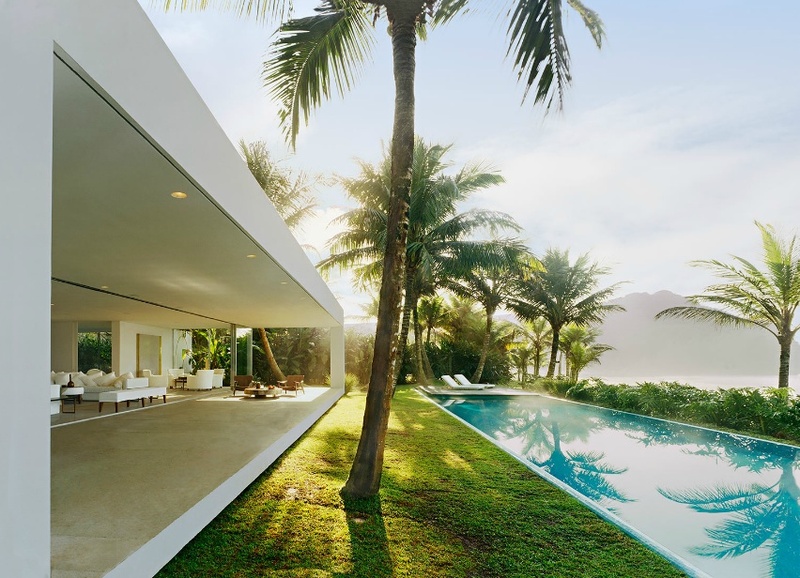 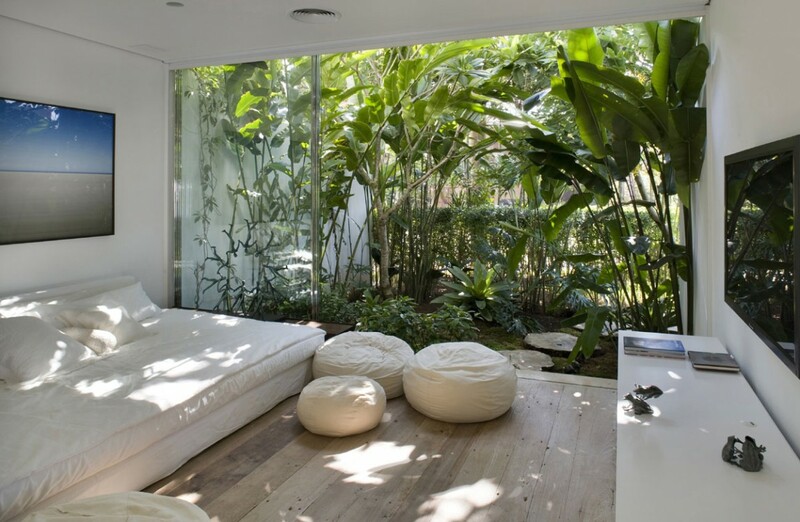 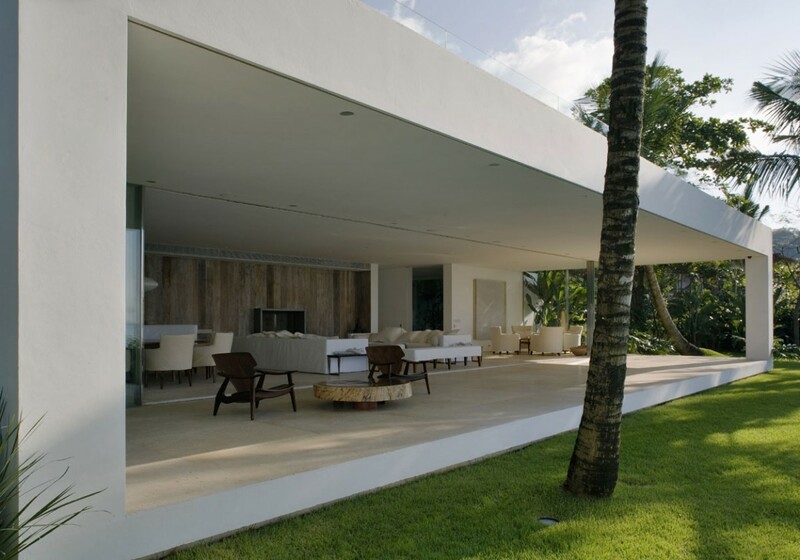 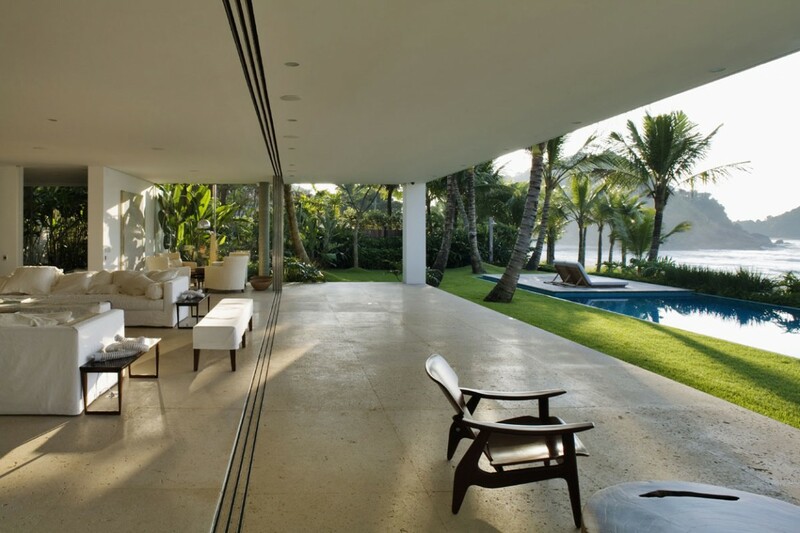 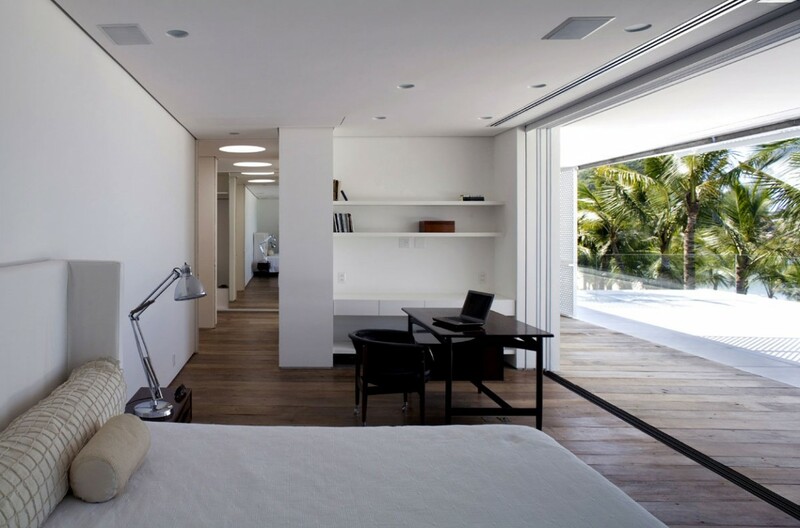 Designed by architecture studio Isay Weinfeld, the two storey contemporary residence is surrounded by vegetation, coconut trees and other plants from the region. 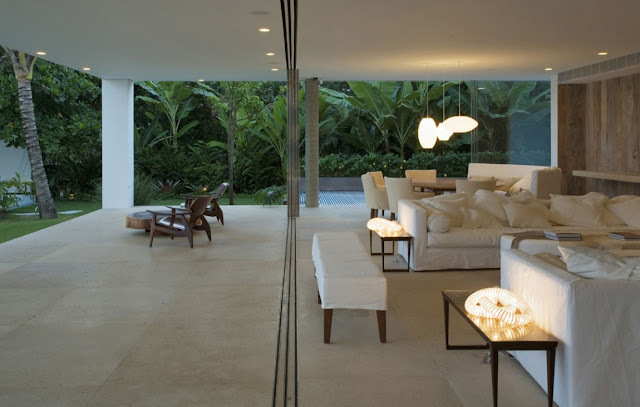 Open layout, minimal box-schaped volumes, elegant use of materials and direct connection to the outdoors create a stunning environment of contemporary, simple and comfort living. 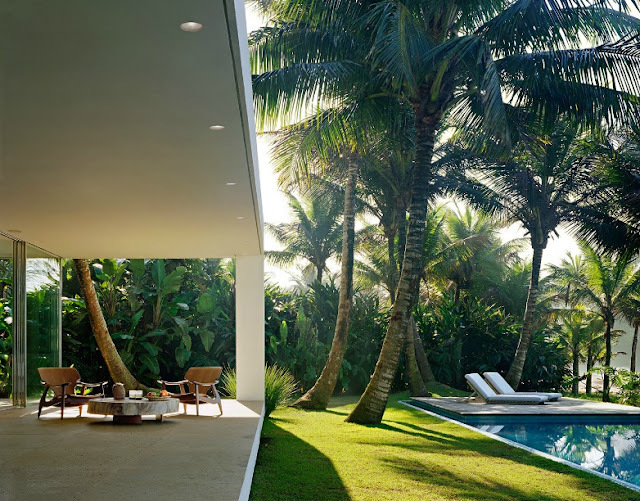 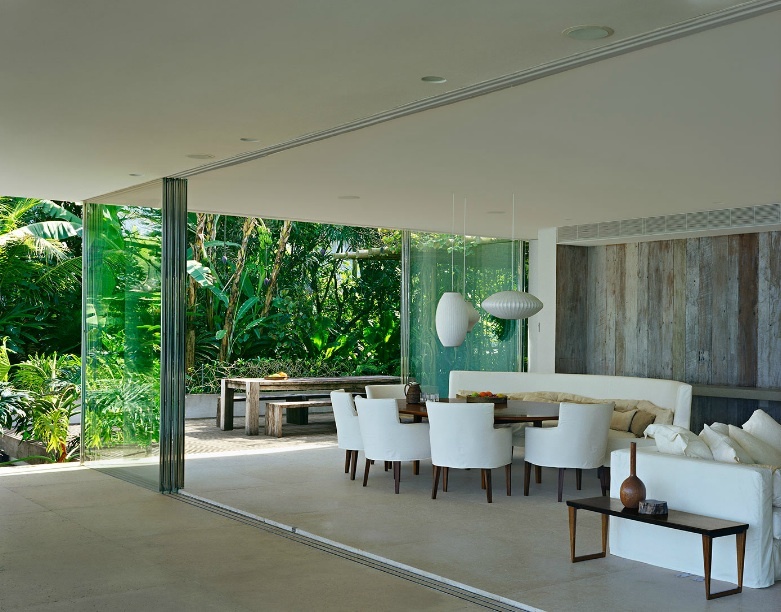 “Built on the seashore of Iporanga beach, on the north coast of São Paulo and amidst the Atlantic Forest, Iporanga house was designed for a family of Arab ancestry and is surrounded by vegetation – coconut trees, bromeliads and other indigenous plants from the region. 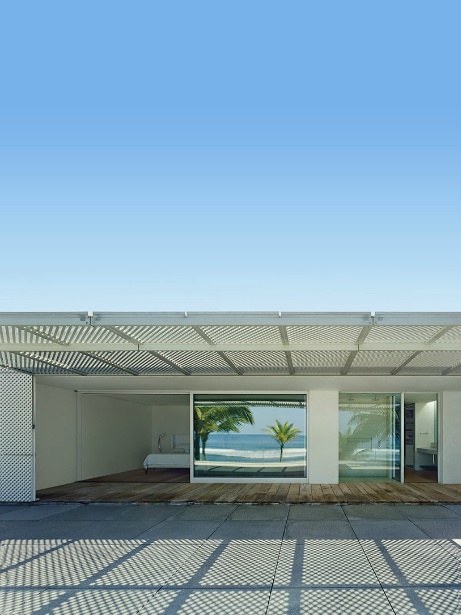 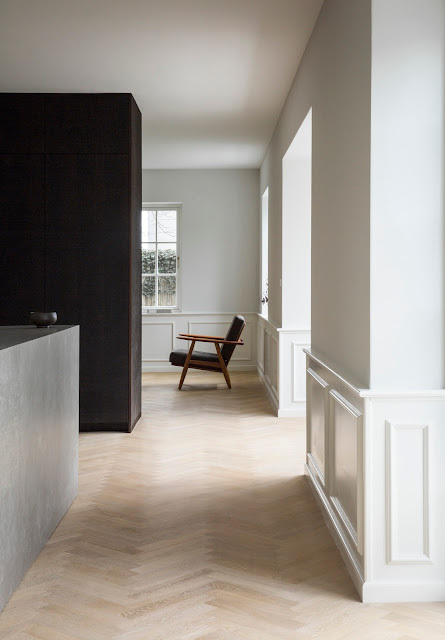 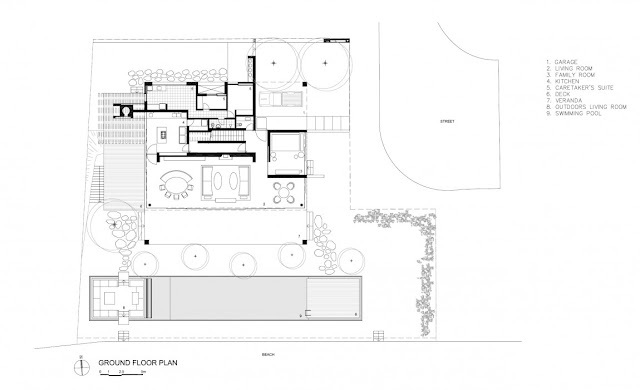 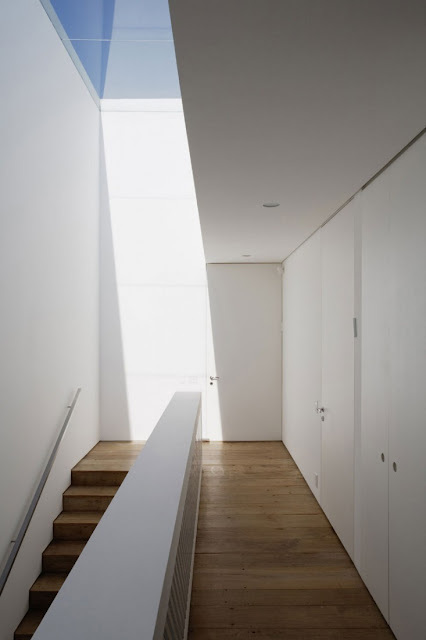 There was no significant restriction – whether technical or legal – to the project and construction of this house. Yet, naturally, the geographic and natural context the house is set in warranted great attention, and guided the location of the house on the land, the organization of the program and the use of materials. 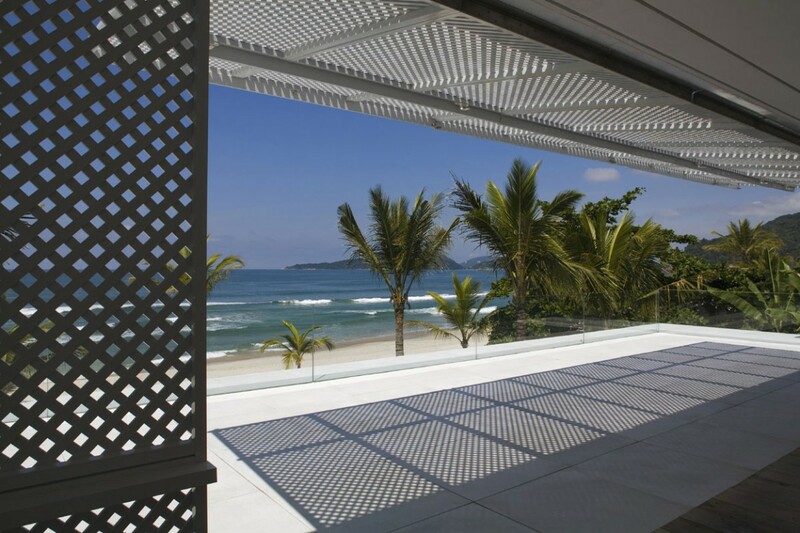 The house features no walls or any other protection but green fences separating it from the neighboring lots or the beach. 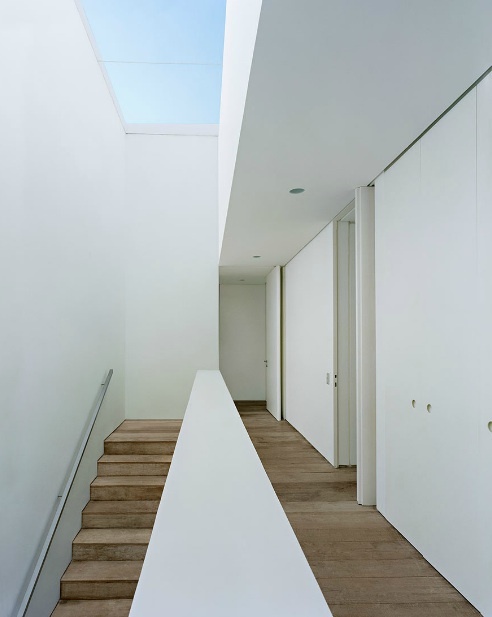 Its program was distributed in two white boxlike volumes, one ‘placed’ over the other. 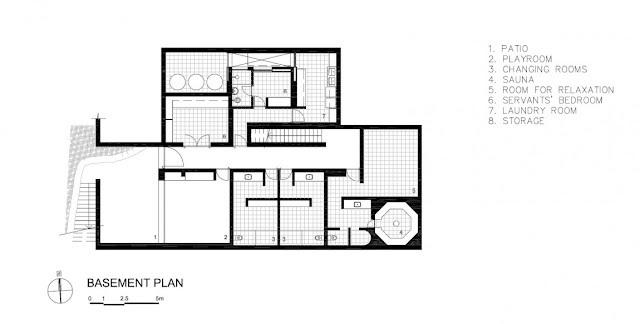 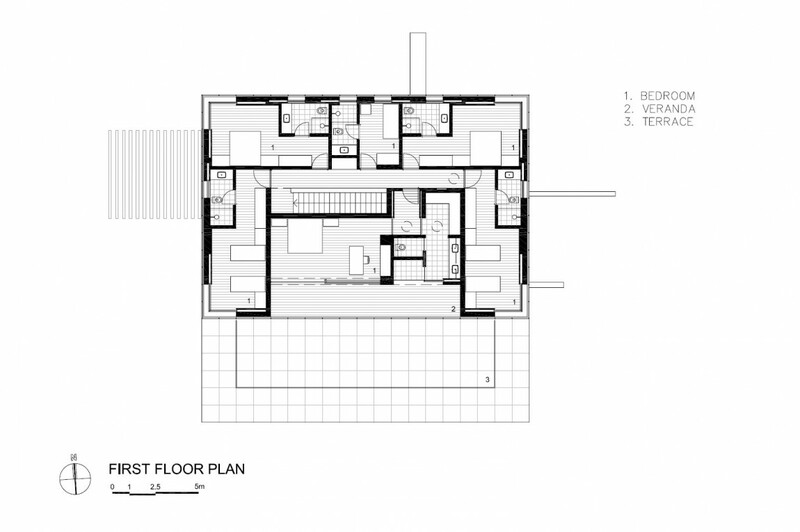 In the lower one, on the ground floor, are all social and service areas of the house: living and dining rooms, integrated in a single space, open fully onto the veranda, onto the swimming pool and onto the sea. 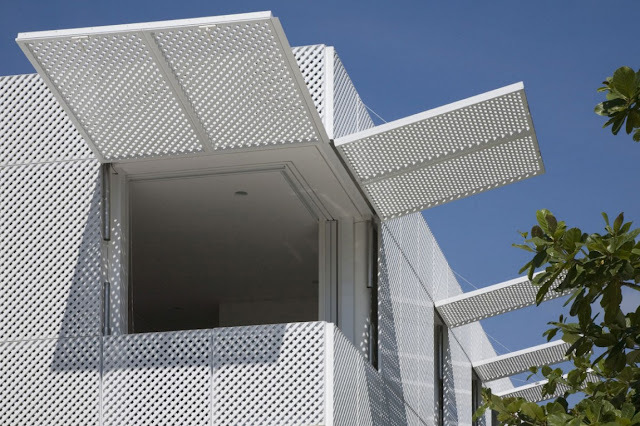 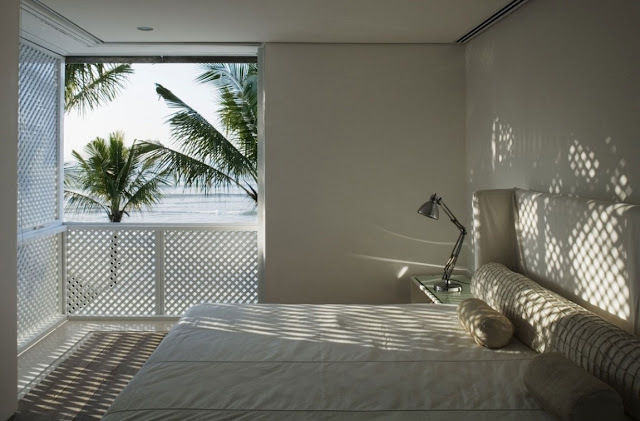 In the upper volume, a large ‘musharabiya’ made of aluminium and painted in white enclose all five bedrooms – the master bedroom overlooking the sea.